2003 was a big year in technology: Apple launched the iTunes store, Google announced plans to go public, and Andy Rubin started developing the Android operating system. The ultra-popular H.264 video compression standard got its start, LinkedIn went live, and the federal government established rules for sending email spam. Perhaps most notably, however — at least for the purposes of this article — the world was first exposed to WordPress and A2 Hosting. Both organizations entered the market in 2003 and have worked tirelessly to perfect their systems ever since. WordPress has grown into the world’s most popular content management system, while A2 Hosting optimized a blazing-fast stable of web hosting plans to keep up with the growing demands of site owners and their audiences. We’ve paired the two impressive platforms in this in-depth review that covers everything from pricing and performance to features and support. Read on to learn about the combination’s strengths and weaknesses, along with other options to consider. Without a doubt, A2 Hosting hangs its hat on high-performance, speedy hosting. That attribute is particularly valuable to users of WordPress, which can easily get bogged down with heavy themes, inefficient plugins, and poorly configured hardware and software settings. A2 Hosting’s WordPress services mirror several of the top performance-minded providers in the space, with unlimited storage and bandwidth, solid-state drives, and a highly optimized platform available for very affordable rates. A2 Hosting with WordPress should appeal to both novice and experienced users. 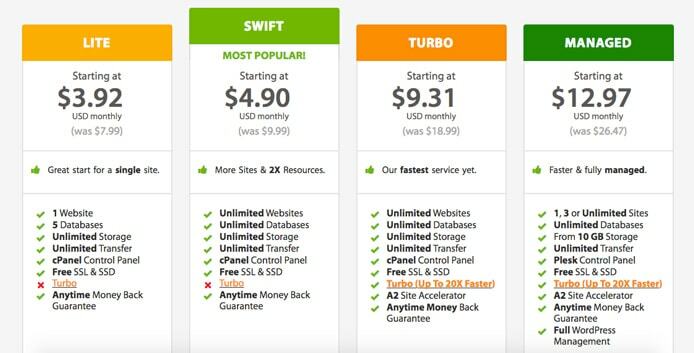 The company’s Lite package, the lowest priced of three shared hosting options, limits customers to one website and five databases while the other options remove the restrictions. A2 Hosting also offers three managed WordPress hosting plans, ranging from roughly $12 to $40 per month. For all the performance upgrades A2 Hosting touts, we’re a little surprised the company doesn’t offer more robust security tools. All of your bases should be perfectly covered with the company’s so-called Perpetual Security platform, which includes a firewall, defense from brute-force attacks, virus scanning, kernel updates, and monitoring, but A2 Hosting seems to prioritize its branded speed optimizations more. A2 Hosting doesn’t shy away from pedal-to-the-metal speeds, touting numerous trademarked optimizations across its website. The company equips its premium WordPress hosting configurations with Turbo Servers, which A2 Hosting configures to get 20 times faster performance than conventional shared hosting. Turbo Servers house fewer websites than the company’s regular shared web hosting servers, meaning more computing resources and processing power are allocated to each user. 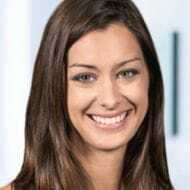 The drop-in Apache web server replacement uses less CPU and memory, in addition to the more efficient handling of connections and requests. Given A2 Hosting’s souped-up infrastructure, the company is understandably not among the most affordable WordPress hosting options out there. However, site owners who are serious about growing a professional or business website will appreciate the number and quality of impressive features A2 Hosting packs into its service for less than $5 per month. A2 Hosting’s WordPress packages combine affordability with professional-grade features and performance. A2 Hosting is roughly $1 per month more expensive than the low-end WordPress hosts out there, but right in line with the competitors that offer similar services. To us, the upgraded performance, reliability, and support are well worth the slight added investment. The friendly company offers customer support as fast as its servers. A2 Hosting’s knowledgeable Guru Crew is available to clients around the clock and can be reached via phone, live chat, and email. The company’s online knowledgebase is not quite as easy to navigate as some others we’ve seen, but the WordPress section is filled with numerous guides for users with all levels of experience. The A2 Hosting knowledgebase is plenty informative, if not quite as visually appealing as other options. We appreciate the company’s transparent 99.9% uptime guarantee, which is the standard expectation across the industry. As with many other hosting providers, A2 Hosting will seamlessly migrate new customers’ websites onto the company’s hardware for free. The company also includes the standard 30-day money-back guarantee with its services and will grant prorated and hassle-free refunds beyond that introductory time period. 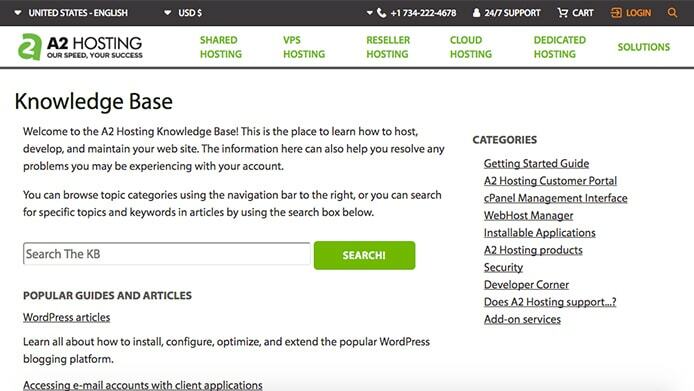 A2 Hosting is part of an elite group of hosting providers that offer WordPress users unlimited storage and bandwidth with free SSDs and SSL certificates. The popularity of WordPress makes this a super competitive niche market, and customers can enjoy their pick of high-powered-but-affordable plans. Full-featured hosting services akin to what A2 Hosting offers typically don’t come cheap. The company’s managed WordPress plans start at more than $12 per month, but we’ve been able to negotiate much better rates for our loyal readers. For regular WordPress hosting, in particular, we secured a price point that’s 51% less than A2 Hosting’s standard rate. Redeem the coupon by clicking below, or browse the latest deals we’ve made happen on shared, dedicated, VPS, and website builder packages.